Taking an aspirin a day can help some older Americans reduce heart-attack risk, prevent some cancers and cancer deaths, and extend their lives, according to a new study from the University of Southern California (USc). 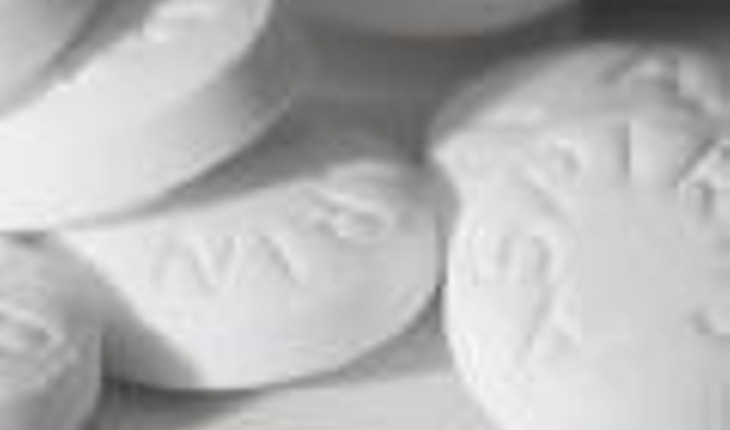 The study found that the people who benefited from daily low-dose aspirin had a high risk of heart disease. Researchers also said that taking the aspirin could save the lives of hundreds of thousands of people over the course of 20 years. In addition, USC researchers who conducted the study found that a daily aspirin regimen by older patients would result in an estimated net health benefit worth $692 billion for the U.S. population. Their findings were published in the journal PLOS ONE. The long-term benefits of low-dose, daily aspirin were questioned this year after the U.S. Preventive Services Task Force (USPSTF), a government-backed panel of experts, issued updated aspirin guidelines that declared the clinical benefit of aspirin, but seemed at odds with the U.S. Food and Drug Administration. The FDA is concerned that some patients, particularly those 60 and older, face an increased risk of stroke and bleeding — both gastrointestinal and in the brain — if they take aspirin daily. Cardiovascular disease is the leading cause of death in both men and women. One in every four deaths in the United States each year is attributed to heart disease, according to the Centers for Disease Control and Prevention. Aspirin can help patients at risk of heart disease because it thins the blood and prevents clotting. Adults 60 to 69 years old who face a greater-than-10-percent risk of developing heart disease and a risk of bleeding may decide individually whether to take aspirin every day. Anyone else in that age bracket who is expected to live another 10 years is more likely to benefit. The recommendations were based on data from the American College of Cardiology/American Heart Association, which had based its conclusions on a cohort. For their study, the USC researchers used representative data from several national surveys. To assess the long-term benefits of aspirin, the USC researchers ran two scenarios through the USC Leonard D. Schaeffer Center for Health Economics and Policy’s Future Elderly Model, which projects the health of older Americans and their trajectory in aging. It relies on national data sets: the U.S. Health and Retirement Study of Americans 51 and older, the large-scale Medical Expenditure Panel Survey of non-institutionalized Americans and the Medicare Current Beneficiary Survey. The researchers also relied on data from the National Health and Nutrition Examination Survey. The model accounts for individual health characteristics such as chronic disease, the ability to conduct daily activities, body mass index and mortality. The first scenario in the USC aspirin study, the “Guideline Adherence,” focused on determining the potential health and savings, benefits and drawbacks of following the task force’s guidelines from 2009. The second scenario, “Universal Eligibility,” was not realistic and aimed to measure the full potential benefits and drawbacks if all Americans 51 and older, regardless of the guidelines, took aspirin every day. The researchers found that following the guidelines would prevent 11 cases of heart disease and four cases of cancer for every 1,000 Americans aged 51 to 79. Life expectancy would improve by 0.3 years (largely disability-free), so out of 1,000 people, eight more would reach age 80 and three more would reach the age of 100. Also, by 2036, an estimated 900,000 more Americans would be alive as a result of the aspirin regimen. However, the researchers found no significant reduction for stroke incidence. Also, the rate of gastrointestinal bleeding would increase 25 percent from the current rate. This means that two out of 63 Americans could expect to suffer a bleeding incident between the ages of 51 to 79. The optimistic “Universal Eligibility” scenario, which assumes that the clinically-proven benefits of aspirin extend to all older Americans, showed slightly larger health benefits than the “Guideline Adherence” scenario. Although longer life spans mean an increase in lifetime medical costs, “observing the guidelines would yield positive and significant net value,” the researchers wrote. “The irony of our findings is that aspirin may be too cheap,” said study co-author Dana Goldman, director of the Schaeffer Center for Health Policy and Economics and USC Distinguished Professor of Public Policy, Pharmacy, and Economics. “Only 40 percent of Americans are taking aspirin when they should, and providers have little incentive to push that number up, despite the obvious health benefits and health care savings. “Until we figure out how to reward providers — and manufacturers — for long-term outcomes, no one is going to do anything about this problem,” he added.